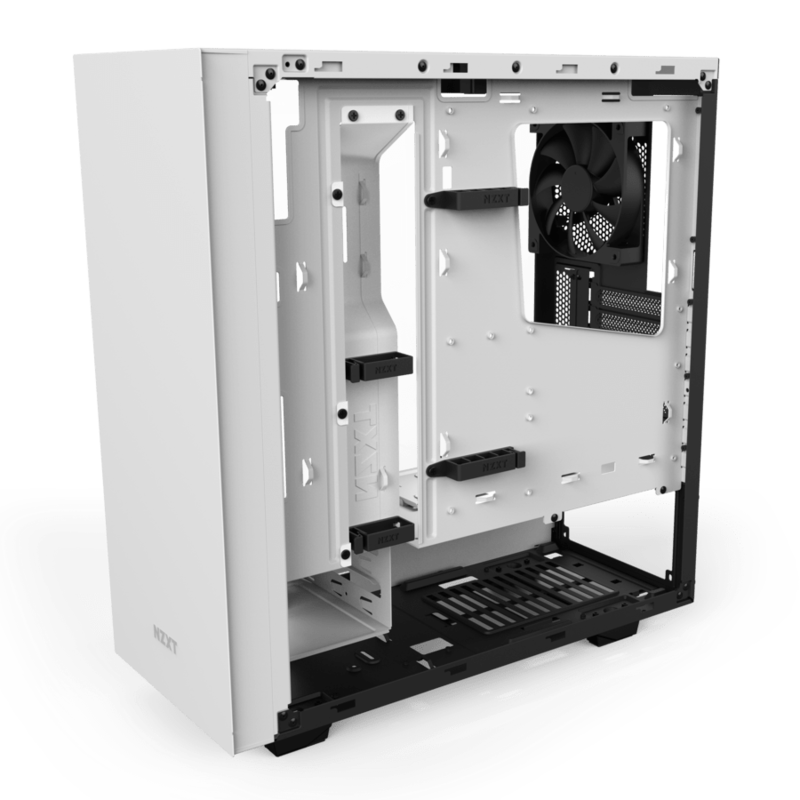 The S340 Elite is an upgraded version of NZXT’s mid-tier S340 PC case, with a few extra features ideal for VR gamers. You can store your VR headset on a magnetic puck and hook it up to HDMI and USB ports on the top of the machine, giving you more cable length to play with. 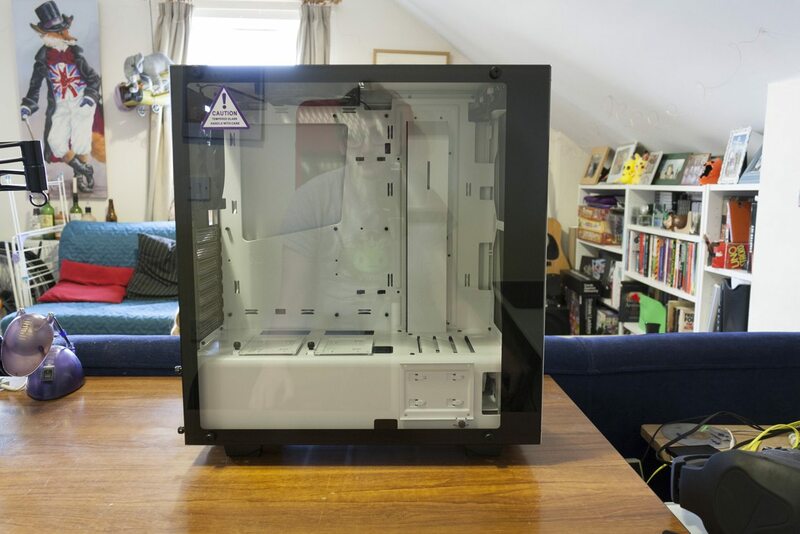 You can also show off your components, LEDs and cable management skills through the tempered glass window on the left side. We’ve got one in to test, so let’s get started! 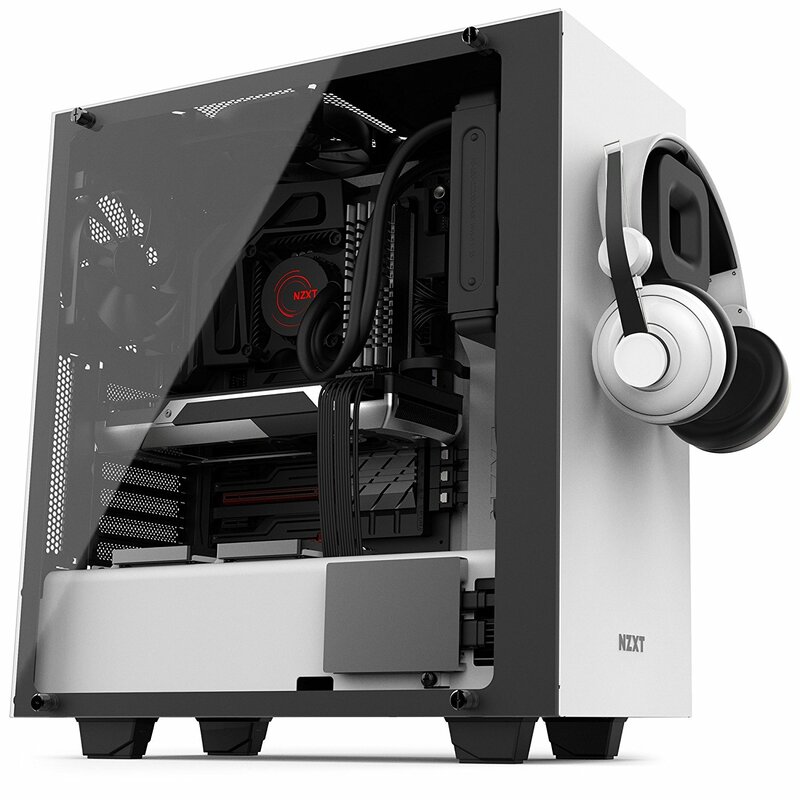 The S340VR Elite is another stylish and well-designed case from NZXT. The extensive selection of ports on the top panel and tempered glass window will be appreciated by all users, while the magnetic puck and top HDMI hookup make this case ideal for the VR crowd. There are some flaws here for sure — cable routing for storage seems particularly ill-considered — but these are worth dealing with given the inarguable quality of the rest of the case. Out of the box, the S340 Elite is a handsome case with clean lines throughout. 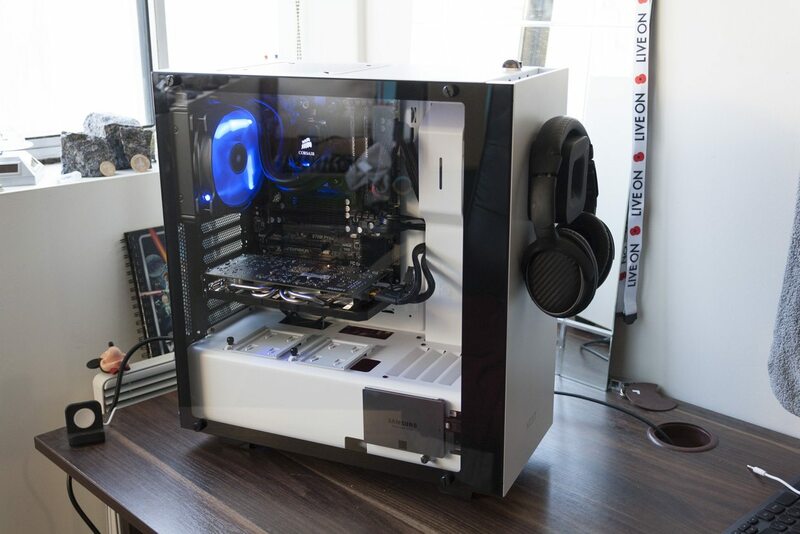 The case’s steel construction and tempered glass panel make it fairly heavy, but also provide it with significant strength and rigidity. We’re looking at the matte white model here, which has a white top, front and right side, and is black elsewhere. 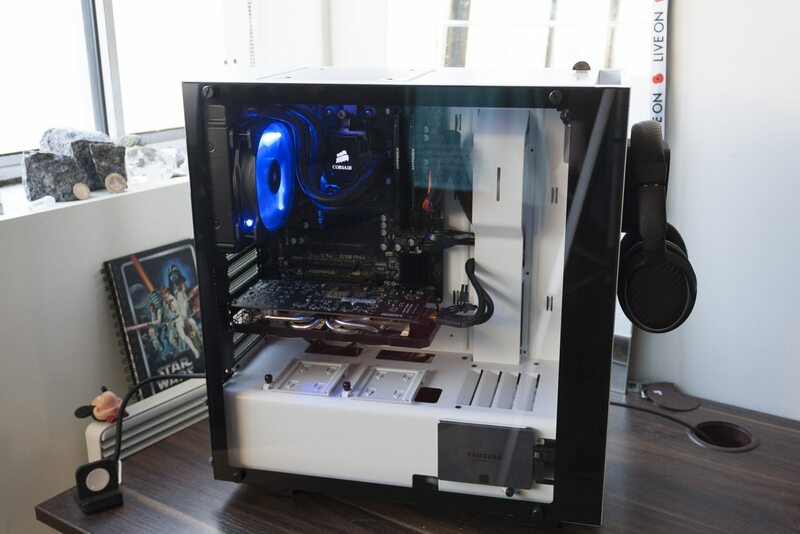 The left side is dominated by a beautiful tempered glass panel, which gives you a great chance to show off your components inside — particularly those lit by LEDs in classic gamer fashion. 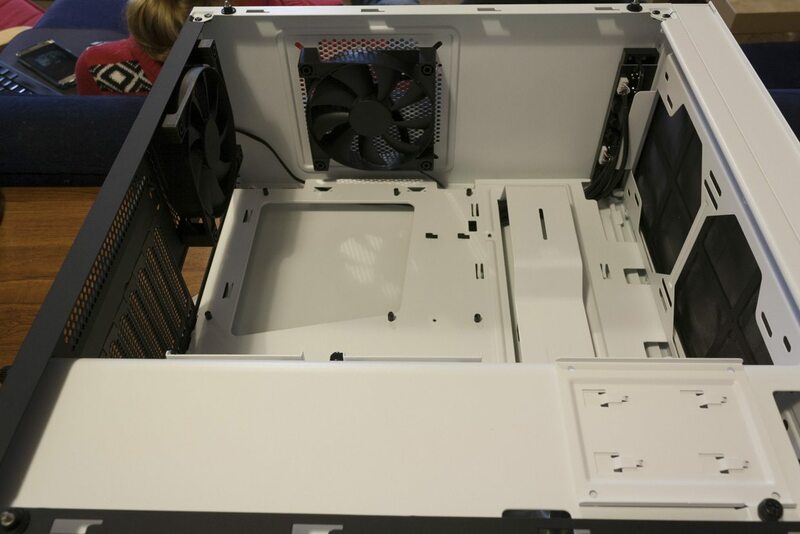 The back of the machine is quite standard, with a 120mm fan at the top and a unique PSU bay at the bottom of the case. The top of the S340 Elite is the next place you can find something interesting. The top I/O panel has been optimised for VR, with an HDMI port and two extra USB 3.0 ports joining the usual quartet of USB 2.0 ports and 3.5mm ports. There’s also a small hard drive activity light and a power button here, which is nicely recessed so it’s easy to feel without looking, but there’s no reset button. There’s also a top-mounted fan slot, which can accommodate 120mm or 140mm models and comes with a 120mm version installed out of the box. 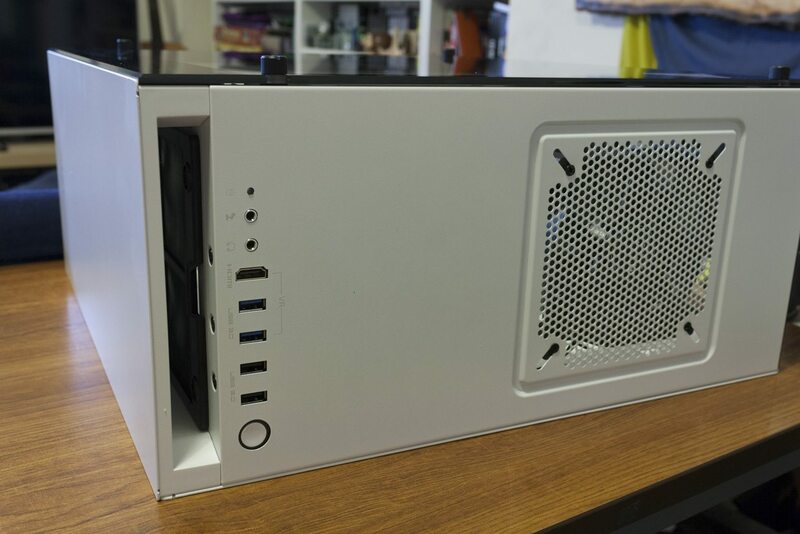 The back of the case is shown here once again. You can see the small cardboard box of components nestling where the PSU will go later. 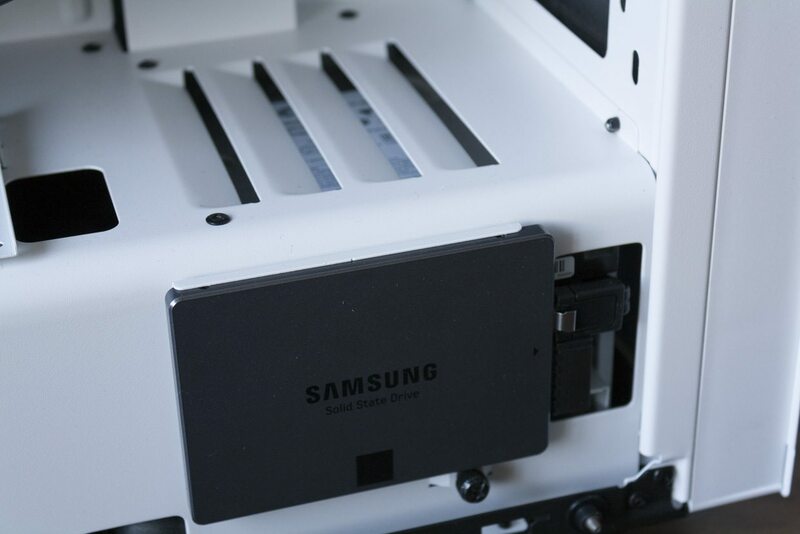 The front of the case has three slots for 2.5-inch drives — SSDs, usually — to reside. One is a horizontal mount with the front of the drive facing you; the other two are mounted flat. 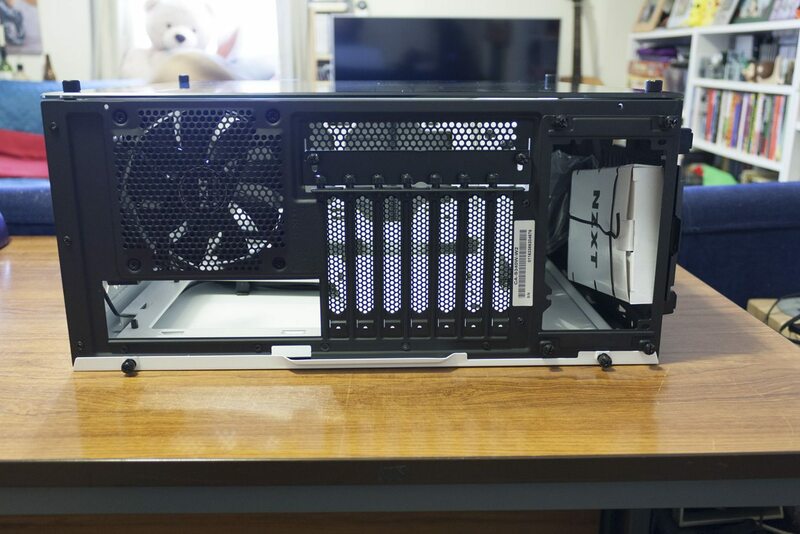 Here we can see the two 120mm fans that come with the case, plus the space at the front for two 120mm or 140mm fans to be placed (and therefore a radiator up to 280mm). Without a radiator installed, you have 364mm of GPU clearance; with a radiator installed in the front bay you’re looking at 334mm. That’s sufficient for all but the largest GPUs on the market today. CPU clearance is 161mm. Here we have all three SSD trays in one shot. All three have their own cavities for cables to be routed through, although as we’ll see later the front-facing slot has to share this space with the 3.5-inch drives. 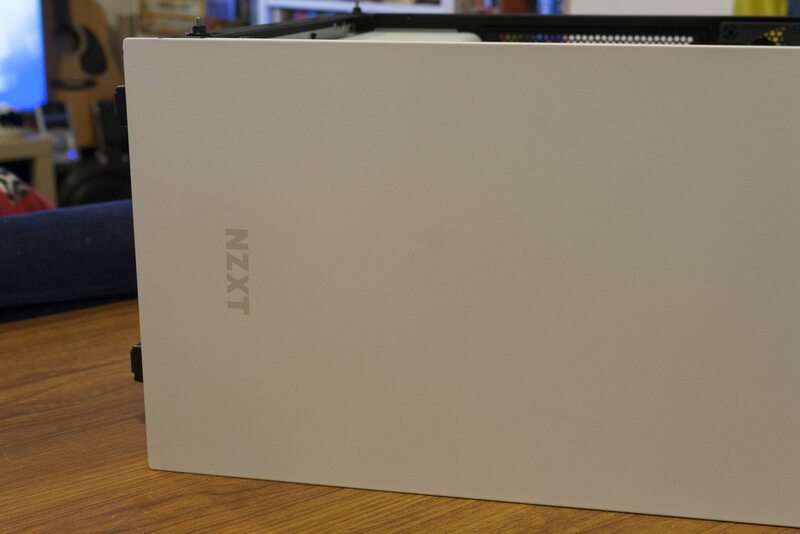 The front of the case has a subtle NZXT logo, and hides a dust filter. 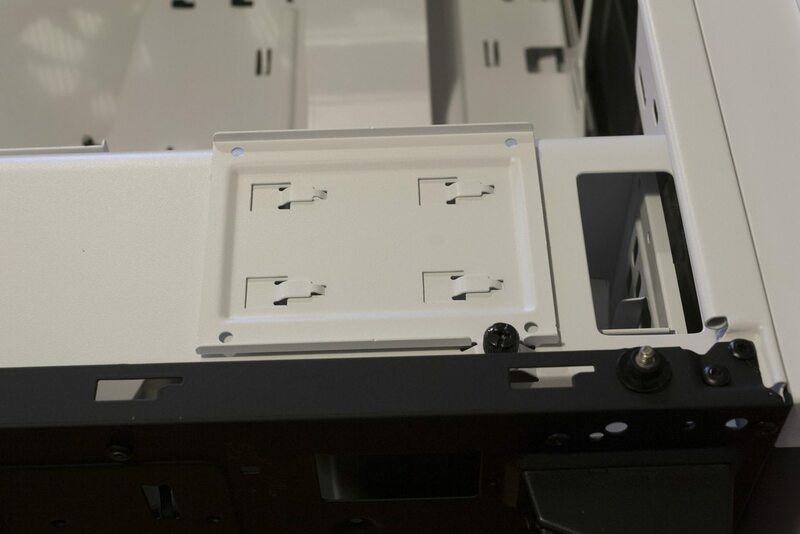 Removing the front panel is a little difficult, requiring a half-dozen plastic inserts to be pulled out of their corresponding holes in sequence. I always feel that I’m going to shear off these inserts, but (spoilers!) I avoided that fate during the course of this review. The bottom of the case has four sizeable feet with rubber soles. You’ll also come here to screw in some of the 3.5-inch HDDs if you mount them in the PSU bay. Finally, there’s a removable dust filter that pulls out towards the back of the case. Taking off the right hand side, and we can see the cable routing system. 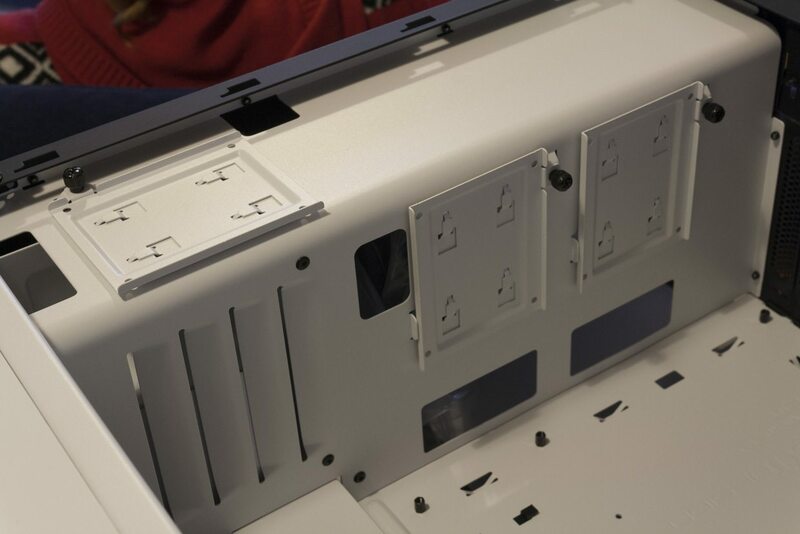 There are two pairs of cable management ties, and the top panel connections have already been placed here. There are also cavities and places to tie zip ties throughout, which is nice for cables that don’t have the length to go through the main channels. These cable tidies look super useful already. One area we haven’t discussed is the 3.5-inch hard drive mounts, which shown on the left side of the photo below. There are two slots within a non-removable cage, one immediately below, and one below and to the right. …and now, close up. 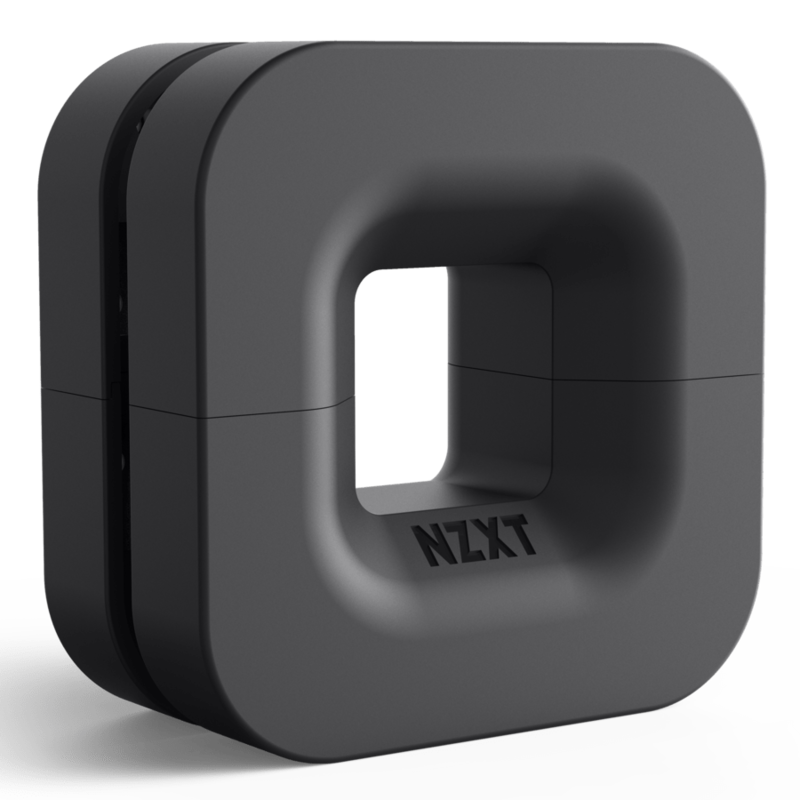 It’s actually made up of two pieces, which can be pulled apart so you can store a portion of your VR headset’s cable inside. Installation proceeded largely without incident, until we tried to turn on the PC and found it didn’t boot. One CPU change later, and we were in business — a fully functional PC. After going through the installation and using the PC for about a week afterwards, we’re ready with some impressions. 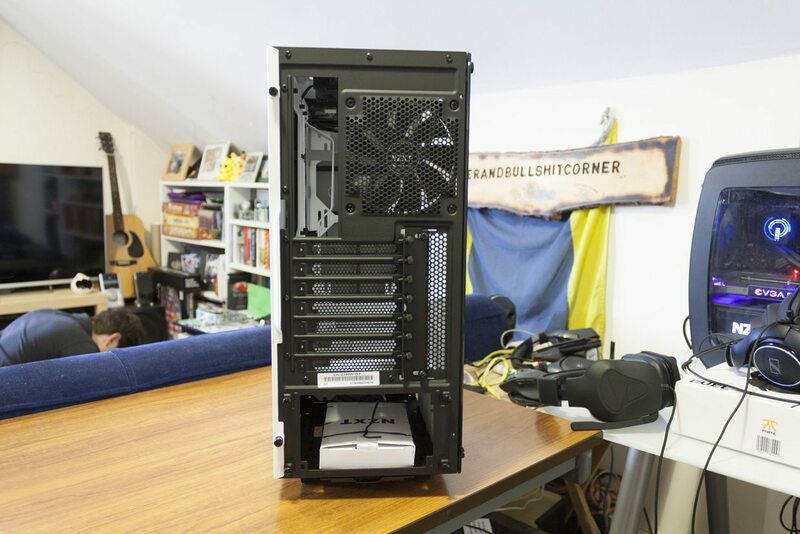 There’s not a lot of room for liquid cooling on the top or side of this case, so you’d be best served by having your fans and radiator at the front. 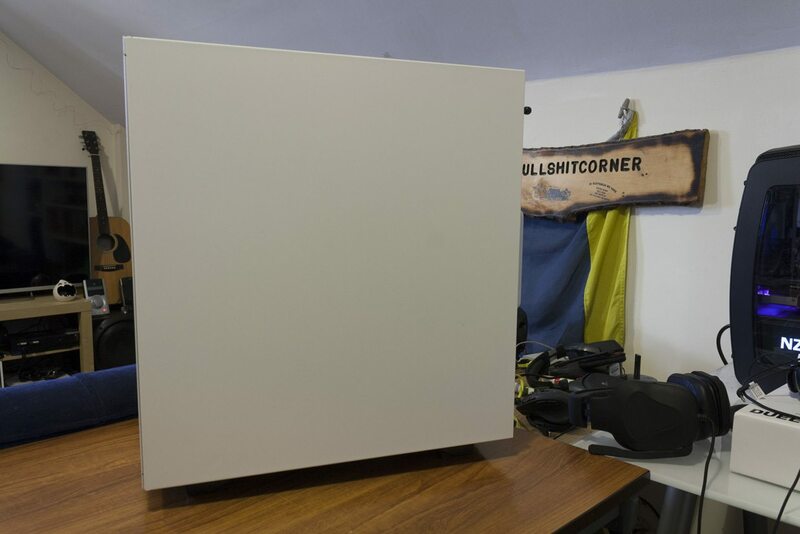 However, it’s also possible to install them onto the rear of the PC, which we opted to do here. If you look closely at this photo, you can see that the front-facing SSD has its cables going into a cavity to the right. This cavity is the same place that your hard drives optimally reside. There’s space for two hard drives here, but if you actually install them into the upper two slots you’ll find they block the route of the data and power cables to the SSD… which is a pain. 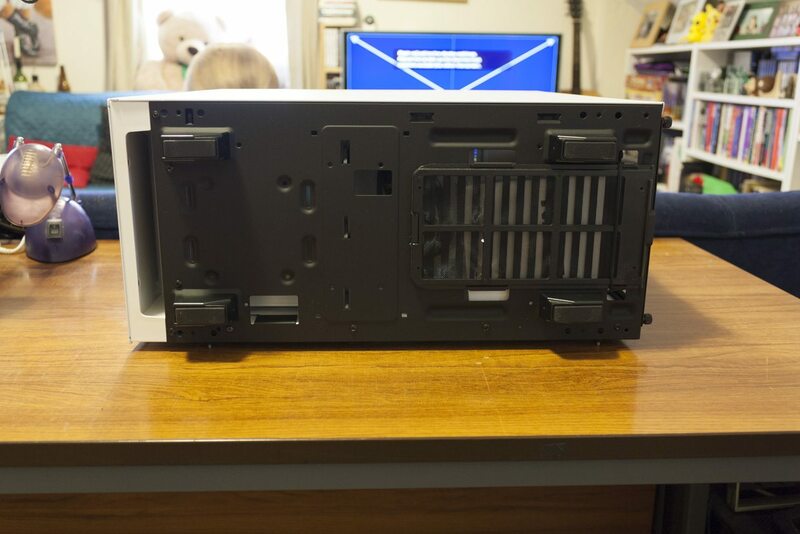 We ended up having to relocate the second hard drive to the floor of the case, which means it has to be screwed in from the bottom instead of the side… again, a bit of a pain. There’s no toolless installation for either 2.5 or 3.5-inch drives, requiring a Phillips screwdriver in both instances. I would have liked to see tool-less installation, although this does add extra cost and complexity. Drives are the most likely component to be added or changed, so speeding up this process is quite valuable. In addition, only one side of the primary two HDD bays is accessible, so your drives are lose on one side. SSD installation is comparatively better, but still requires access to both sides of the case. Mounting the PSU wasn’t immediately obvious, but made sense once we referred to the instructions. 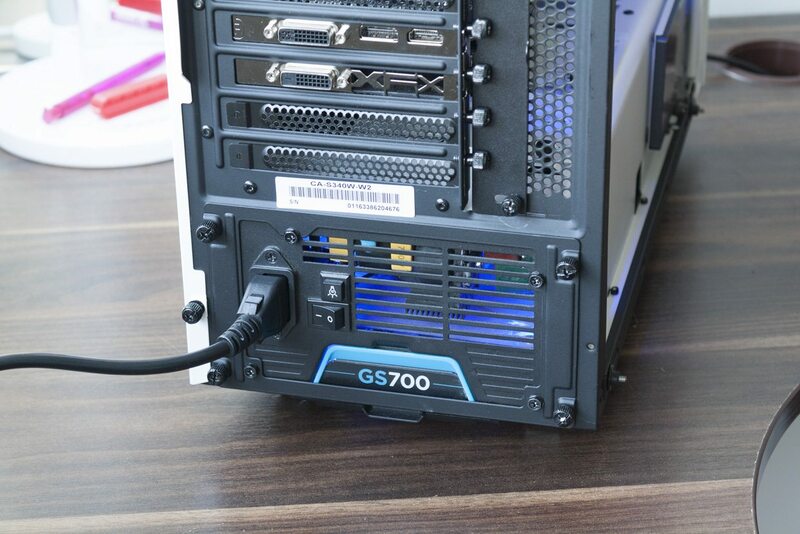 Essentially, the PSU is mounted to a plate with internal screws, and then the combined PSU and plate are thumbscrewed into the case. This makes temporarily displacing the PSU easier, but increases the time needed to actually replace it. 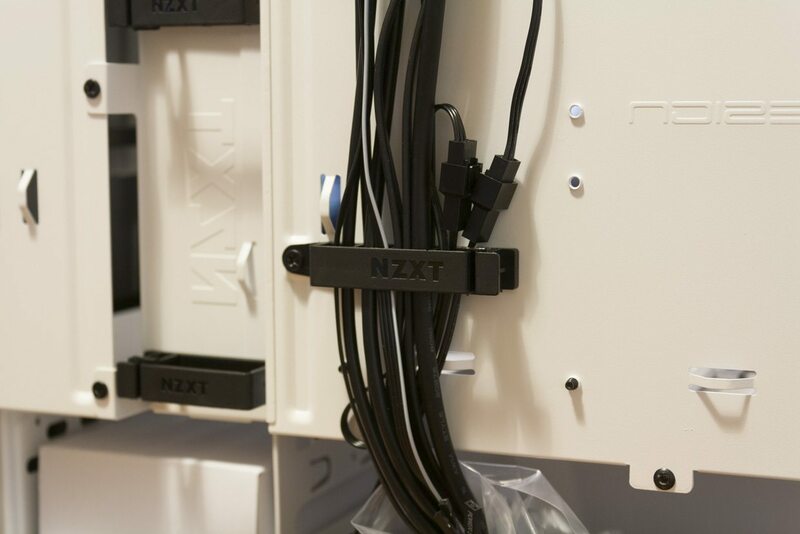 Overall, I prefer the simple slot mount used in the NZXT Manta. Curiously, all of the thumbscrews used on the case were screwed in very tightly. That made unscrewing them impossible without a screwdriver; not ideal. They became a little looser with time, but remained quite stubborn compared to all other cases I’ve used in the past ten years. The thumbscrews for the tempered glass pane were the only exception, thankfully. The top HDMI port is a little challenging to hook up if you don’t have a (rare) videocard with an internal port. In that case, you’ll need to carefully route the HDMI cable outside the back of the case, then plug it into your video card. This looks a little weird and isn’t ideal for travelling, but it is workable and being able to access the top HDMI port is super useful once everything is hooked up! There’s no reset button on the case, though. 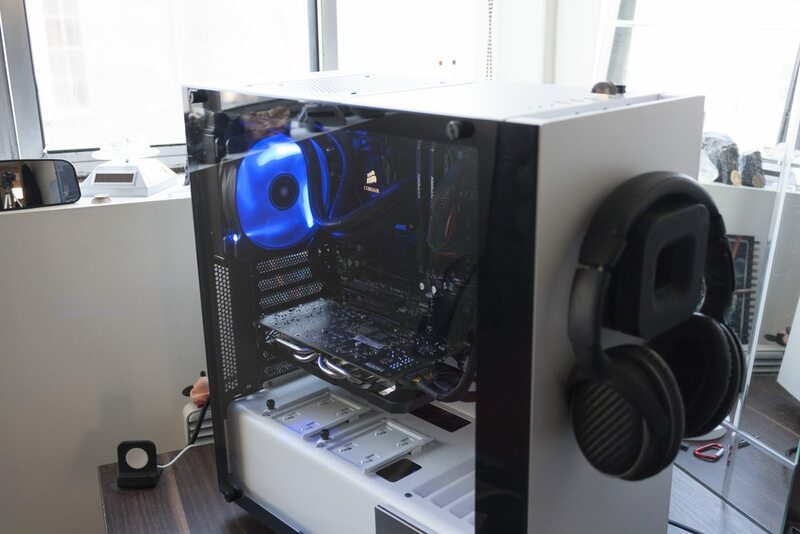 That seems to be a trend with NZXT recently, but it is something of annoyance — particularly when there’s quite obviously room for one! However, it does mean that there’s one less fiddly hookup to route to the motherboard, so there is a small downside. How long is it until we do away with these hookups altogether in favour of a more robust method? Answers in the comments below, please. I loved the cable tidies on the far side of the case. These were a good size, easy to open and close, and made tidying up the back of the case much easier than it would have been otherwise. 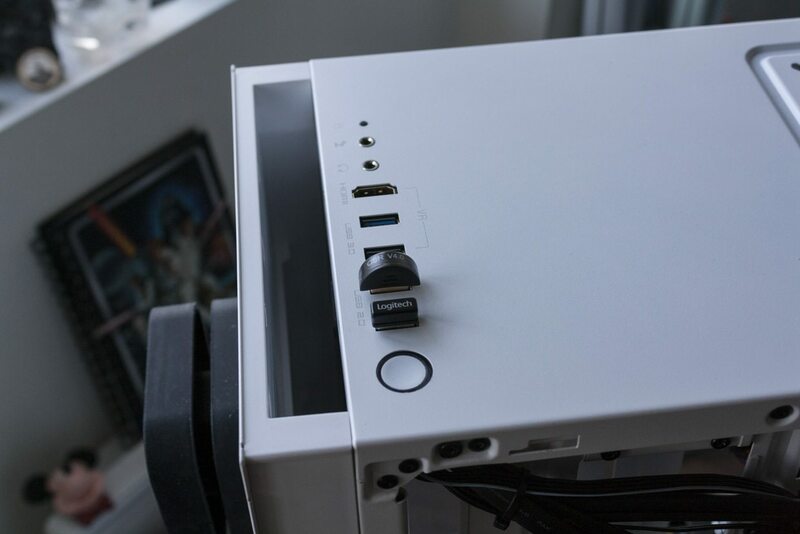 The bottom cavity of the case also makes for a convenient place to stuff your extra power cables (if you’re not using a modular system) and other stuff, without having them be an eyesore visible through the glass. However, there’s not a ton of clearance on the side panel outside of these channels. 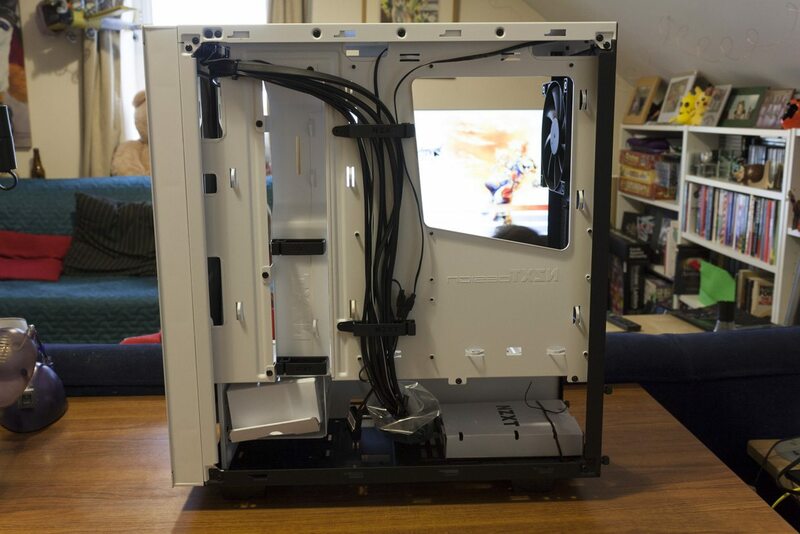 If you have a lot of thick cables, you may still find getting the side on is a bit of a challenge, compared to more roomy cases like the NZXT Manta. Still, the inclusion of the cable management clips makes the S340 Elite one of the better cases we’ve seen for cable management as a whole. The tempered glass window looks cool, but could be a liability if you often toss your computer into a car — e.g. to travel to a LAN party. Still, the trend towards tempered glass does provide a better ability than ever before to display your build (as well as LED lights in a colour of your choice). Combined with the NZXT Hue+, you could really have a light show! The top fan looks a bit out of place on this case, which is otherwise sleek and futuristic; a hexagonal pattern might have worked better here instead. Also, the groove around the fan is a dust magnet. The temperatures are excellent, particularly given that there are only two fans in the system — one rear fan for the CPU cooler / radiator and one up top. We don’t have a way of recording noise accurately, but the case was remarkably quiet — nothing more than a low hum even under load when placed on the floor. However, this is during the British winter; your own mileage may vary. The S340 Elite is another solid entry from NZXT. The case looks gorgeous, and it’s well designed too — apart from a few annoyances in installing hard drives. Above all, it’s a solid case with extra appeal for the growing number of VR users.